Last month, in “Sound Streams”, we were about to take part in the 19th annual Healing Sounds Intensive. At that time, I explained what a “Merkaba” was (it’s an inter-dimensional vehicle) and two different exercises we would experience at the Intensive in order to create such energy forms. One of these methods was the creation of a star tetrahedron—which manifests as a pulsing diamond of Light & Love—that allowed us to travel to different levels of consciousness. Now that we’re back from this year’s Healing Sounds Intensive and have successfully created these two different merkabas, I’d like to take this opportunity to tell you about the second merkaba we manifested. The other exercise to create an inter-dimensional vehicle involved learning to intone the Divine Name, which as I have mentioned, is one of most powerful sounds I am aware of, as well as my favorite to share and teach. 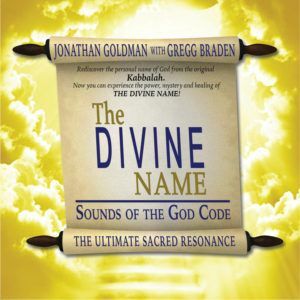 For those of you who wish more information on how to create this most sacred and extraordinary of sounds—please consult The Divine Name book, or the new 4 DVD set: “The 11:11 Divine Name”, which is a step by step teaching program that culminated at 11:11 am on 11/11/11 with an entire sacred temple resonating to hundreds of people intoning the Divine Name. If you were unable to join us at the Intensive and wish to experience these teachings, the DVD set is quite a nice offering. Please click here for more information. In addition, if the creation of a “Merkaba of Sound” is of interest, as mentioned earlier, I’d like to also suggest that last Fall, I was honored to release a recording featuring the use of numerous tones and sounds—particularly my intoning of the Divine Name and other sacred sounds, as well as the “Deep Voice” Tibetan “OM” of TIBETAN MASTER CHANTS’ Lama Tashi, all resonating together at the Phi ratio. It’s a pretty powerful sonic tool for inter-dimensional travel. As mentioned last month, “MERKABA OF SOUND” won the 2014 Visionary Award for “Best Frequency and Sound Healing Music” of the Year! 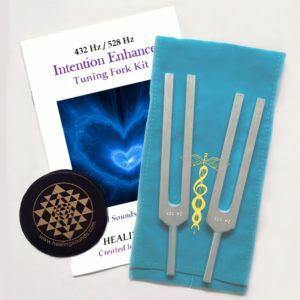 Lastly, I would be remiss if I did not mention the Lemurian Tuning Fork Set. 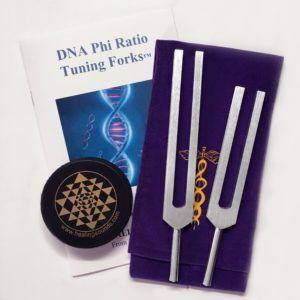 This set of 4 tuning forks named is based upon the interaction of 2 major sacred ratios: Pythagorean Triples and Phi. The Pythagorean Triple is a special form of a Pythagorean Triangle (named after Pythagoras the ancient master of both sound and geometry). The particular form incorporated in the Lemurian Tuning Fork Set consists of a right triangle whose sides are in the ratio 3:4:5. This figure also makes up the basis for many sacred geometric forms. Phi, a mathematical ratio called the Golden Ratio, is an irrational number (a number that never ends) which reduces down to 1.618. This ratio manifests the spiral of the universe. When coupled together, many different geometric shapes can be created from the combination of Pythagorean Triangle and Phi, including the manifestation of a spinning diamond shape. The diamond is a sacred form found in many different ancient traditions. It is one of many shapes that can manifest from the Pythagorean Triangle. When coupled with the energy of the “Phi” tuning fork, the diamond seems to spin in a sacred spiral, thus creating a special new type of inter-dimensional “Merkaba” vehicle. In reality, as I mentioned last month, there are many different exercises and methods introduced at the Healing Sounds Intensive that one could use to create inter-dimensional vehicles and vortexes of Light & Love through Sound. They are all merkabas that one can utilize to travel to different levels of being. I like to believe that there are numerous recordings and other methods on the Healing Sounds website that can also enable people to experience similar effects. And of course, it is my belief that there are many other ways as well—sounds, music, and different vibrations from many different sources—that we can use to enhance our consciousness and communicate with the divine. I have always believed that we are all unique vibratory beings and that what works for one person may not work for another. But this I know—while we are all different—we can all utilize some vibratory foundation to shift reality and travel to different levels of the source. And I’d like to suggest that if possible, you begin to look for your own personal merkaba. It doesn’t have to be complicated. It doesn’t have to be costly. It just has to work for you!